Following last night’s 2-0 whitewashing of the reeling Washing Capitals, the Pittsburgh Penguins once again find themselves as the #1 seed in the Eastern Conference. With an offense that features two 30 goal scorers and the services of both Evgeni Malkin and James Neal, the Pens have the chops to trade chances with any team. At the other end of the rink, Marc-Andre Fleury is pacing the NHL in wins and having the quietest Vezina-caliber season in recently memory, propelling the Penguins to +47 goal differential that puts them 5th among all NHL squads. 1) Injuries, Injuries, and more Injuries. In years past, the Penguins have gone extended periods of time without Crosby and without Malkin (and sometimes without both) yet managed to post remarkable regular season numbers. This season, the overwhelming swath of injuries could finally prove too much to overcome. Pittsburgh is without the services of its top two defensemen (Kris Letang and Paul Martin), and despite the amazing rookie campaign of Olli Maata and the career year of Matt Niskanen, the amount of talent at the blue line is thin. When you add in the injuries up front to Beau Bennett and Pascal Dupuis, the depth that served the Penguins so well in the ’08 and ’09 playoff runs is gone and replaced with an assembly of AHLers (and Craig Adams). Should the Penguins suffer another crucial injury on the top two line and/or see another top 4 defenseman go down with injuries, the trickle down of talent could prove insurmountable. 2) The NHL and its Referees Allowing Obstruction/Interference. There has been a steady decline in the number of obstruction/interference penalties called in the NHL since the league cracked down following the lost season of 2005. Unfortunately, the NHL’s choppy play is beginning to resemble what Mario Lemieux deemed “a garage league” by not calling even the most egregious of obstruction plays, and there’s no greater harbinger of doom than last week’s tilt against the San Jose Sharks. The Sharks negated the Penguins’ attempts to dump and chase all night long: on one particular dump, three separate Sharks interfered with the Penguins player attempting to enter the offensive zone. If opposing teams are allowed to clutch and grab and slow up the Penguins’ speed in the neutral zone- a critical element in coach Dan Bylsma’s transition offense- the very things that would otherwise give the Penguins an offensive edge will be rendered moot. 3) Another Post-Season Implosion by Marc-Andre Fleury. First, the good news: Marc-Andre Fleury has been lights-out good this season, and by any objective standard should be a finalist for the Vezina Trophy. Fleury currently leads the NHL in wins (34), is tied for 2nd in shutouts with 5, is 9th in goals against average (2.26), and has a save percentage of .918. To put these numbers into perspective, his GAA and shutout totals are currently a career best, and his save percentage is his best since the first cup run in ’07-08. Of course, Fleury has struggled mightily ever since backstopping the Penguins to the 2009 Stanley Cup. His post-season low point is a toss-up between the debacle that was the Flyers series of 2012 and being replaced by Tomas Vokoun in last year’s playoff run. Fleury is extremely capable of stealing games- and more importantly, playoff series- for the Penguins. He has two cup Finals under his belt, an accomplishment that only a smattering of current NHL goalies can claim. Unfortunately, nobody will know whether or not Fleury’s up to the task until the playoffs start, and there’s little that Coach Dan Bylsma or GM Ray Shero can do other than have the best possible backup ready to go. 4) Not Shooting the Puck. Although Pittsburgh skated away with a victory against Anaheim last week, the Penguins should not be reveling in the two points. Anaheim generated more scoring opportunities, maintained better offensive zone pressure, and fired a boatload more shots at the Penguins’ net. Almost unfortunately, the Penguins made good on the scoring chances they did have and found ways to beat the Ducks’ Jonas Hiller twice despite the overall disparity in shots. The playoffs are all about dirty goals: shots glancing off of shinguards, dump-ins taking fortuitous bounces off of stanchions, and so on. In the game of hockey, lucky bounce goals count just as much as the gorgeous tic-tac-toe plays that the Penguins love so, so much. The Penguins would do well to work on honing the gritty part of their game in the final stretch of the regular season. 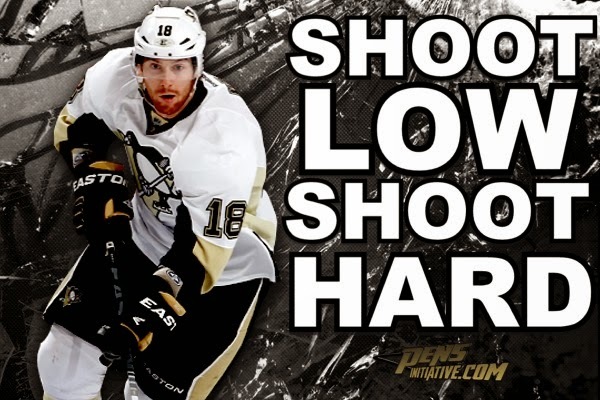 The ability for shots from the point to get through to the goalie and thus create rebound opportunities cannot be understated, and embracing the garbage goals would go a long way to help the Pens circumvent the scoring woes of playoffs past. 5) Trying to Beat Their Opponents at Their Own Game. 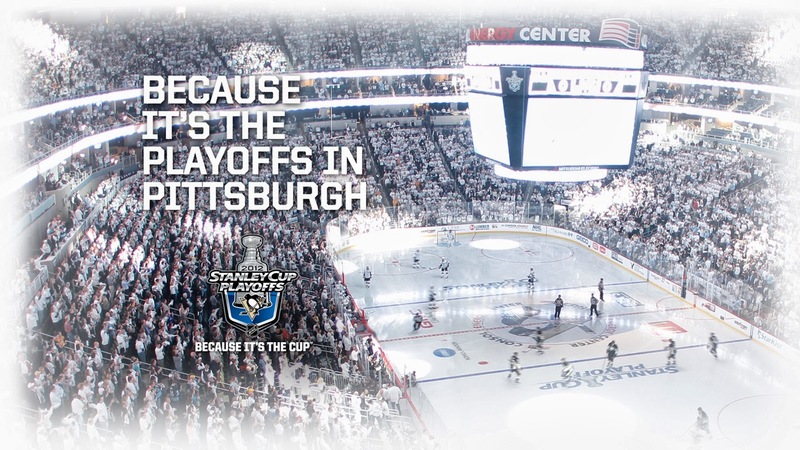 The last two Penguins’ playoff losses reek of this error. Against the Flyers in 2012, the Penguins completely abandoned their disciplined breakout system and cycle game in favor of Broadstreet Bully shenanigans that played entirely into the Flyers’ favor. 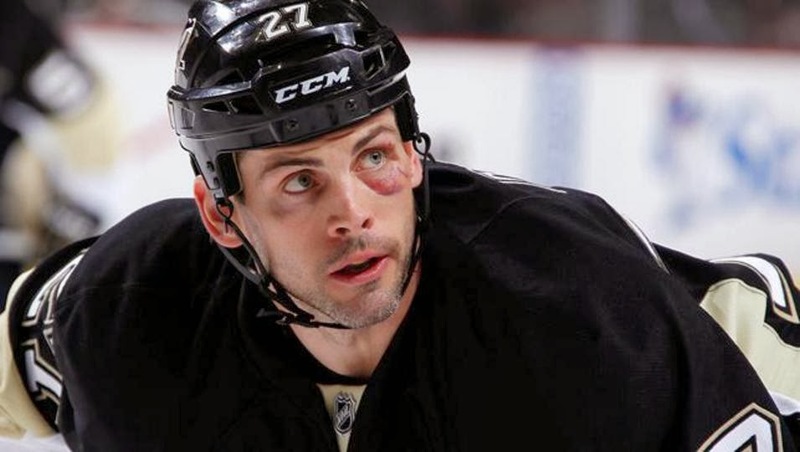 That Philadelphia was able to get Malkin, Crosby, Letang and Neal so preoccupied with throwing the body and delivering unnecessary cheap shots is a credit to the Orange and Black. To that same end, the Bruins (notably Chara and pest Brad Marchand) came out and played gritty and borderline dirty games against the Penguins early in the Eastern Conference Finals. Instead of sticking to the things that helped earn the Penguins hold a multi-game winning streak against the B’s heading into the playoffs, the Penguins abandoned all semblances of their team game in an attempt to show the Bruins that they could play tough too. End result: the Bruins swept the Penguins. The Penguins’ style of play works. Pittsburgh can score goals and defend a lead with the best teams in the NHL, but they have to avoid the pitfalls of becoming too emotional or getting too frustrated whenever the things that came easy during the regular season become difficult in April and May.